Tiffany's Online Finds and Deals: 60% OFF Minifigures Set of 48+22 Includes Building Bricks NOW ONLY $11.99! 60% OFF Minifigures Set of 48+22 Includes Building Bricks NOW ONLY $11.99! Would be good for Easter Eggs! NOW ONLY $11.99! REG $29.99! 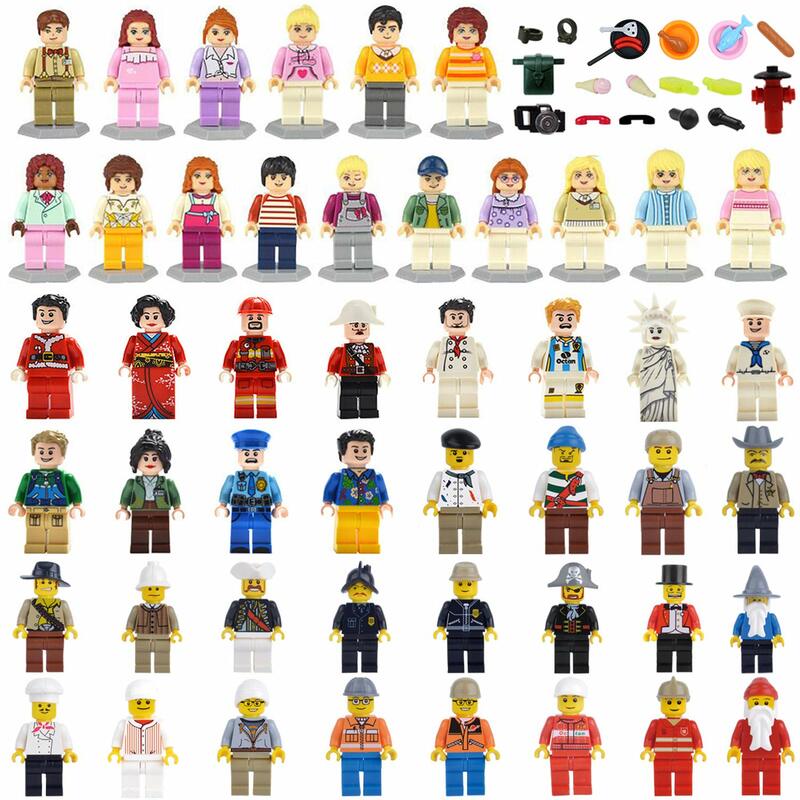 MINIFIGURES SET: This product includes 48 minifigures, 2 watches, 2 phones, 2 ice cream, school bags, bread, chicken legs, camera and microphone etc. PACKAGE:Every mini people is an independent packaging, can be more convenient to install. CREATIVE ROLE:provide real benefits to child's learning, from improved hand-eye coordination to enhanced problem-solving skills. They stimulate child's creativity and imagination. SAFETY:Toy safety is very importan. All of our toys are made of the finest materials to ensure quality, safety and durability. Loengt is an individual brand that has a high production value and meticulous manufacturing standards. All the minifigures we sell are 100% brand new and created with exceptional detail. We have over a decade's worth of experience in the business, which helps us in maintaining a high level of production quality for our minifigures.